We believe we have one of the finest ranges of Firepits on sale anywhere in the UK and we can get your chosen firepit to you on a next day delivery service. We stock firepits from all the leading manufacturers and are proud to be associated with La Hacienda Firepits, Lifestyle Firepits, Kingfisher Firepits and Gardeco Firepits. There are different types of firepit to suit every taste and every budget. Modern stainless steel firepits look great in your garden or on your patio and will make an instant impression with your friends. We particularly like the La Hacienda Pescara Pebbles Firepit, whilst the La hacienda Genova Firebowl Barbecue is popular with our customers as it can be used to provide heat and also doubles as a great barbecue. If you are after something a little different why not buy a mosaic firepit from our excellent range. We stock the La Hacienda Napoli Firepit which is great as it can be used as a heat source, a barbecue and also a table! 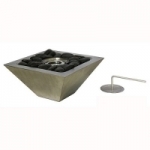 We also keep the Gardeco Calenta Mosaic BBQ Firebowl in stock ready for next day delivery. Finally, if you want something special why not take a look at the La Hacienda Messina Firepit and Stools. 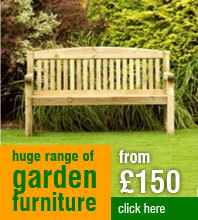 This impressive product will take pride of place in your garden and will be the envy of your friends. 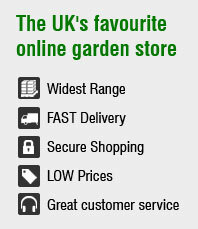 This item is also available with next day delivery. One of our newest ranges is our 'Stainless Steel Gel Burner' product range. Manufactured by La Hacienda, these stylish gel burners create light and ambience and can be used both indoors and outdoors. All of our gel burners are popular but our customers particularly like the La Hacienda Stainless Steel Pebbles Gel Burner. 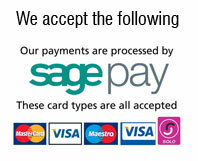 Remember, all our gel burners come with next day delivery so don't delay...order today!